At 1:25 a.m. on Thursday, Oct. 25th, Hurricane Sandy entered Cuba just west of Santiago de Cuba as a category 2 hurricane. However the extent and speed of Sandy gave it a destructive capability as great as any of the category 5 hurricanes. Its central path took it rapidly through the provinces of Santiago de Cuba, Holguín and Guantánamo, the former two provinces being the most populous in Cuba after the City of Havana. The hurricane devastated the heroic city of Santiago de Cuba, destroying houses, damaging public buildings and monuments, leaving the city without water supply, electricity, shops, markets and trees. Despite massive evacuations, it took a toll of some 11 human lives, an unusually high number in Cuba for hurricanes (mainly by collapsing buildings) — 132,733 houses were affected with 15,322 totally destroyed and 43,426 losing roofs. Massive damage, not yet fully calculated, was caused in Guantánamo and Holguín before the hurricane left this province near Banes, precisely where hurricane Ike had entered four years earlier. President Raúl Castro, visiting Santiago de Cuba on Sunday, Oct. 28, said that only urgent temporary measures can be taken and that the recovery of Santiago would take years. The emergency measures are well underway. Roads to healthcare centres and other essential services were speedily cleared. Linemen have been arriving from seven provinces to work together with local ones to restore electricity and telephone services. Roofing materials are arriving from neighbouring provinces such as Las Tunas. Temporary systems have been set up to provide 85% of the affected population with drinking water, and food supplies have been arriving from throughout Cuba to Santiago and other severely affected parts of eastern Cuba. Cultural activity has not been overlooked, with some cultural centres being promptly and reopened, with artists from different parts of the country to join local artists in lifting the spirits of the people. Good friends of Cuba have also been prompt to supply assistance. Venezuela, for example, has given 650 tons of help including non-perishable food, drinking water and heavy machinery to Cuba, with some going to Haiti. However, the need remains great. Cuba continues to give its help to Haiti, which, although not directly hit by Sandy, suffered much destruction from flooding, with scores of lives lost. 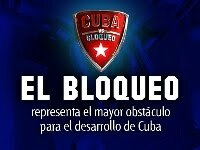 Cuban provinces as far east as Villa Clara and Cienfuegos suffered from high winds and flooding due to heavy rainfall. Canadians have responded generously in the past to disasters affecting Cuba and other Caribbean countries suffering from natural disasters. With great gratitude we recall that from coast to coast they responded to requests from the Canadian Network on Cuba, the umbrella group representing friendship organizations with Cuba. We forwarded to Cuba after 2008, when the country was ravaged by three hurricanes, more than $404,000.00cad. When on January 12, 2010, Haiti suffered the horrific earthquake, the CNC, recognizing that the most effective way of helping Haiti was by doing so through Cuba, mounted its TO CUBA FOR HAITI Campaign, which so far has collected and sent to the Cuban Medical Brigade in Haiti $453,728.12 cad. Cuba needs substantial help, both immediate and long term, in order to overcome the crisis brought on by hurricane Sandy. Cuba’s Ministry of External Commerce (MINCEX) is establishing an account to receive the financial contributions. As in all our previous fundraising efforts, every single penny donated will go to Cuba. Charitable tax receipts will be provided. Our experience with regard to Cuba's response to natural disasters is that it knows how to multiply the value of any donations it receives. We feel confident, based on the island's unsurpassed humanitarian work both within Cuba and in other countries, that it has the skills, the organization and the ethical and moral values to put whatever aid it receives to the best possible use. 1) payable to your local Friendship organization and please also write "CNC Sandy Relief Fund" on your cheque's memo line. They will forward the info/money for tax receipts to the Mackenzie-Papineau MF. Please also write "CNC Sandy Relief Fund" on your cheque's memo line. Charitable receipts will be issued by the Mackenzie-Papineau Memorial Fund in 4-8weeks (Charitable Org - Revenue Canada Reg, #88876 9197R0001). There will be no administrative charges, not even for postage stamps or anything else.